Manchester United striker Wayne Rooney says the Reds can retain the Premier League title ahead of the visit of leaders Arsenal on Sunday. United won the league by 11 points last season, although a slow start to the campaign has left them eight points behind the Gunners after 10 matches. "We always believe. We believe we can go on and win the league," Rooney said. "We have been in this position before and gone on to win titles. We are hitting form at the right time." Rooney, 28, previously said it is too early to assess Arsenal's title credentials and that they have often "faded away" at the crucial stage of the season. The England international believes United's title bid will start to gather pace before the end of the year. "If we can continue that and get to Christmas within touching distance, or maybe even at the top, we will be in a great position," he added. "I am sure if we can win on Sunday it will make us even stronger and give us that belief that we can go on. "We are playing a bit better and have been getting good results. Overall, we are in a good place." Rooney's future at United was brought into doubt during the summer after speculation he wanted to quit Old Trafford. He appears back to his best form recently, although he says his team-mates deserve the credit as well. 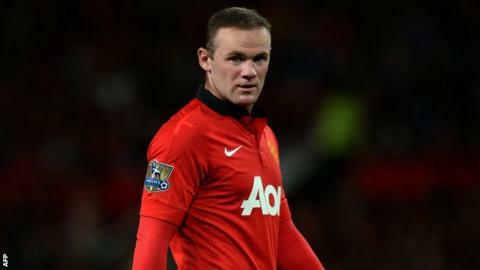 "I hope I can make a difference this weekend, but we have many players who can win us games," Rooney said. "It is not about one person. It is about us all working together to get those three points. We are starting to adjust to the training and the new ideas from the manager." United, under new manager David Moyes, have taken 17 points from their first 10 games of the season.